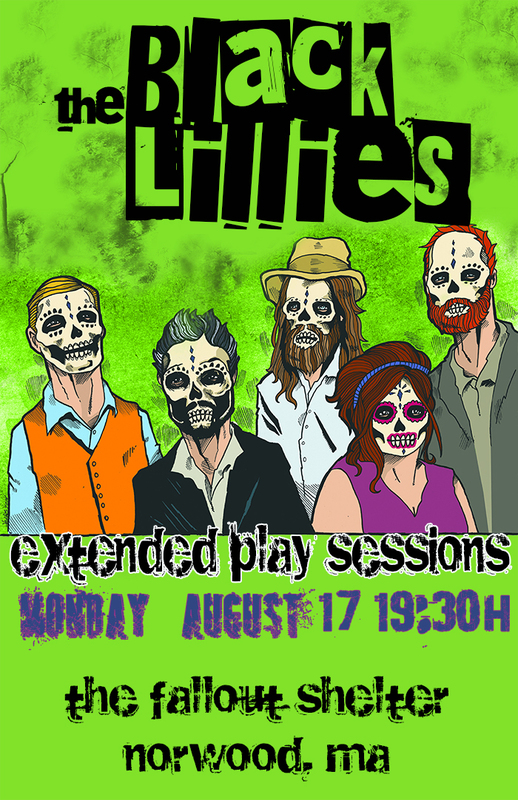 We have had great bands and unforgettable moments at The Extended Play Sessions and Monday, August 17th will add to the aura as we host one of the best touring American Roots Music acts in the country, The Black Lillies! Frontman Cruz Contreras and his band mates — harmony vocalist Trisha Gene Brady, multi-instrumentalist Tom Pryor, bass player Robert Richards and drummer Bowman Townsend — have grown from a few friends sitting around campfires and living rooms to a band that shows up in far-flung cities where folks to whom they’ve never played before already know the words to the songs. Eschewing record labels, they’ve still managed to conquer the Billboard Top 200 charts (Runaway Freeway Blues debuted at #43 on the Country chart and #21 on Billboard Heatseekers), put four tracks in Country Music Television’s top 12 requested videos, and film a nationally broadcast commercial for Twizzlers®. They’ve been featured on numerous television specials and conquered festivals as widespread as Bonnaroo, Rochester Jazz Fest, Stagecoach and CMA Fan Fair. Rolling Stone magazine called them one of the Ten Bands You Need to Know! This is a unique “speakeasy” with very limited seating for just 40 lucky souls; every seat is no more than 25 feet from the stage. If you are interested in attending this event on Monday, August 17th, there are still a small number of seats available and will be confirmed via email. Doors are at 6:30 pm with the show at 7:30 pm and you can be included by contacting them via e-mail at studioconcertseries@gmail.com. Confirmations including the address are issued on a FIRST COME basis. Once confirmed, your seat is reserved. Donation for this event is $30 per person and includes all of the delicious amenities to which you have all grown accustomed… only better! Guests are invited to enjoy complimentary food from our legendary buffet as well as beverages including beer, wine, soft drinks and mixed adult beverages. Beverages and food are available during the filming as well. The Extended Play Sessions at The Fallout Shelter is located just 30 minutes from downtown Boston in Norwood, Massachusetts (minutes off I-95 and Route 1) and has free parking right outside the doors! The $30 donation includes good food and an open bar! Oh, you and about 39 other people will receive a poster that the artist will sign to hang on your wall! Posted on August 10, 2015, in concert announcements, music, Uncategorized and tagged American roots music, boston, concert announcement, Extended Play Sessions, music, The Black Lillies, The Fallout Shelter. Bookmark the permalink. Leave a comment.